John Grant specializes in tax litigation. He provides clients with his knowledge on resolving tax disputes with the Canada Revenue Agency and the Provincial tax authorities, from the initial audit stage to the final resolution of litigation. He has successfully dealt with a broad range of matters, including break fees, commodity taxes, transfer pricing, donation programs, tax treaty interpretation, and corporate tax issues. John’s extensive experience includes carriage of more than 1500 tax litigation matters. He has litigated complex tax cases of national scope, including large scale donation programs, the GAAR, hedging, and other tax issues. John has successfully resolved hundreds of matters without the need for prolonged litigation. Prior to joining Miller Thomson, John was a highly regarded tax litigation counsel with the Department of Justice (Canada). 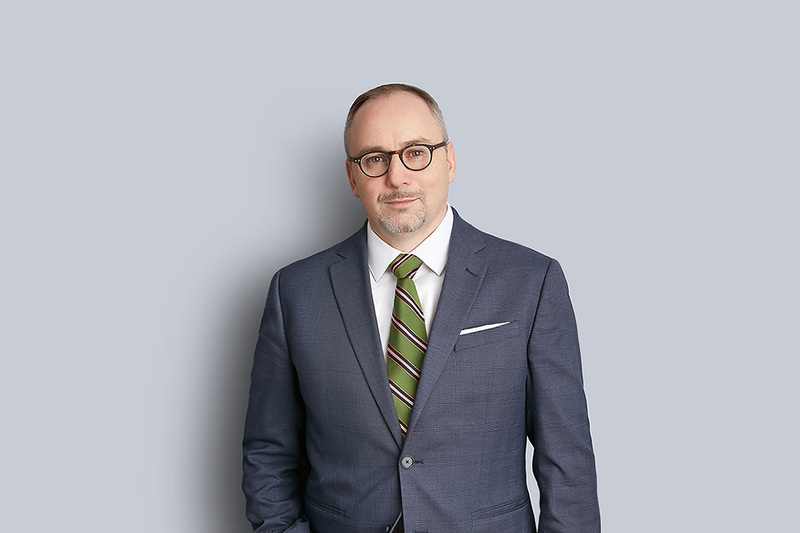 Over the course of his 15-year career as Crown counsel, he successfully litigated a wide array of complex income tax matters before the Tax Court of Canada, the Federal Court, the Federal Court of Appeal, and in responses to Supreme Court of Canada leave applications. He has developed a significant expertise in the field of tax dispute resolution. John is a frequent speaker at national and regional training initiatives. He has also provided training to the Canada Revenue Agency, and has been a guest lecturer and instructor to young legal professionals. John also sat for two years as a presiding Member of a federal administrative tribunal, issuing decisions regarding the enforcement of federal legislation. John is a Co-Editor of Taxes & Wealth Management, a Thomson Reuters publication. Speaker, “The New Voluntary Disclosure Program by the CRA – A narrower path but still a path!” Wolters Kluwer, National Tax Webinar, December 12, 2018. Co-chair, « Professionalism and Ethical Issues for Tax Lawyers », Ontario Bar Association, Toronto, Ontario, December 10, 2018. Speaker, “Business Valuations and Dealing with CRA Challengers on Business Sales”, Sale of a Business, Wolters Kluwer Seminar Series, Burlington, Ontario, October 31, 2018. Speaker, “The New Voluntary Disclosure Program by the CRA – A narrower path but still a path!” Wolters Kluwer, national Tax Webinar, September 18, 2018. Moderator, co-Panelist, “Properly Engaging the CRA in Dispute Resolution”, Thomson Reuters, Toronto, Ontario, June 7, 2018. Speaker, “The New Voluntary Disclosure Program by the CRA – A narrower path but still a path!” Wolters Kluwer, national Tax Webinar, June 5, 2018. Author, Tax Litigation Chapter in Miller Thomson on Estate Planning – the authoritative review of trusts, estates and taxes in Canada, (2012, loose leaf service, 2 volumes, release 2018). Co-author, « Tax-Free Savings Accounts: Beware of the Pitfalls », Taxes & Wealth Management, Thomson Reuters, Issue 12-1, 2019. Author, « Supreme Court of Canada Upholds Common Interest », The Canadian Bar Association BD Branch, December 2018. Author, “Bakorp Management Ltd. v H.M.Q. : CRA Settlements – When Losses are too remote for consequential assessments”, Taxes & Wealth Management, Thomson Reuters, Issue 11-3, 2018. Author, “$1.4 million award against CRA for malicious, high-handed, and reprehensible conduct – Samaroo v. Canada Revenue Agency”, 2018 BCSC 324, Tax Notes, March 9, 2018. Author, “Warning for Corporate Appellants – Tax Court invokes ultra vires doctrine to re-establish that corporate Appellants must be represented by counsel”, Taxes & Wealth Management, Thomson Reuters, Issue 11-1, 2018.